I think it's over. The weather is breaking, the snow is gone, the birds are starting to chirp. February 27th was the first float of the 2018 year. With the Kankakee at all time high water levels the Dupage river is where my season will start this year. 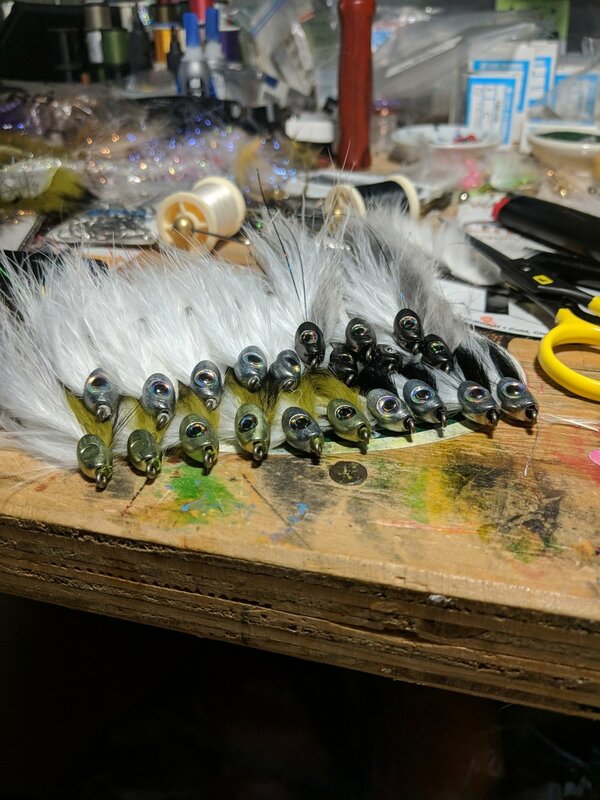 White baitfish patterns moved all of our fish on the 27th. I have limited openings for early season prespawn fishing. Tying classes come to a end tonight at Dupage Flyfishing Company, I want to thank everyone that attended classes this winter and sat around the tables with me. It was my pleasure teaching all of you. Due to some difficult circumstances there are now 3 open spots to join me at Naknek River camp September 1-8 If Alaska is on your bucket list this is a great opportunity.